Does the price of spray foam insulation intimidate you? You may think that it’s too expensive and that you have to settle for something else. However, if you realized how significant the benefits are, you might reconsider. The reality is that while you may pay more upfront, spray foam has advantages that will save you money for many years. Here are some of the top benefits of this top-quality insulation! Compared to other options, spray foam insulation is significantly better at keeping your home comfortable. The resistance value, often known as the “R-value,” is the highest available on the market. Because there’s better insulation, you’re going to get incredible energy savings. You won’t have to run your heat and cooling nearly as much to maintain a perfect temperature in your home. This will save you hundreds of dollars a year for decades to come. When you consider how much more comfortable you will be and how much you will save, spray foam is a great investment! Spray foam insulation is able to thoroughly seal holes or cracks anywhere you use it. This is true even if the area has oddly shaped spaces or very small gaps. The spray foam goes into every space and expands to fill it. As a result, you won’t have to contend with drafts or other air concerns. You can also rest easy knowing that no moisture is gathering behind your walls or in your attic. Spray foam is impermeable to water, so you’re protected from both everyday leaks and major storms or flooding. It doesn’t take much for pests to find a door into your home. Small creatures like bugs can get in through cracks you don’t even notice. Even larger animals can start with a small hole and chew it larger in order to enter your crawlspace or attic. With spray foam insulation, you don’t have to worry about gaps or cracks inviting in pests. Instead, you can relax knowing that every single hole or area where an animal might come in is filled in and protected from any unwanted guests. Considering it can take thousands of dollars to handle an infestation, spray foam is a great choice. Not only does spray foam fill in every gap behind walls or in your attic and crawlspace, but it’s also an inert polymer. That means it provides no food or source of growth for mold and bacteria. Choosing this closed-cell insulation will help protect your home from mold, mildew, bacteria, and other major health concerns. That peace of mind is priceless! As you can see, spray foam insulation is well worth the investment. You not only gain additional comfort and energy savings, you get a host of other benefits as well. The peace of mind and protection you get is priceless. 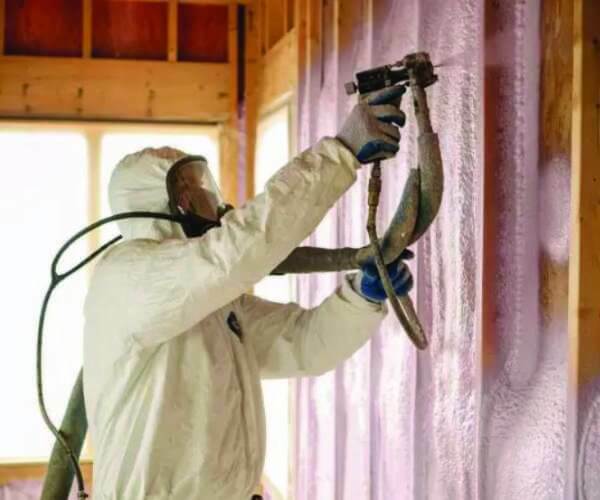 If you’re ready to get foam insulation installed in your home, contact us today! We’re here to make it easy to stay comfortable and save money.